It has been three years since Roddy Frame last graced a London stage, but despite living in musical wilderness in the charts and on the stage he still has a devoted fan-base with the show selling out within hours of it going on sale. Cadagon Hall, a beautiful venue in the heart of Sloane Square, it is perfectly suited to Roddy’s stripped back acoustic show. 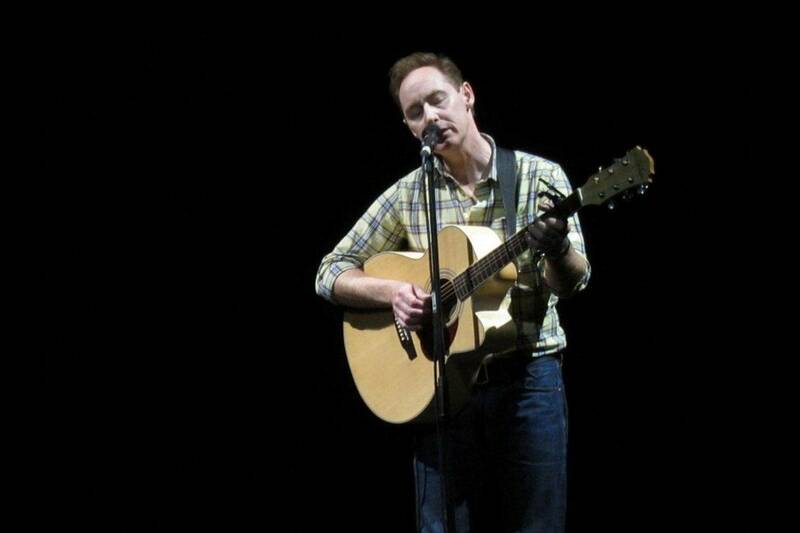 Tonight’s show promises highlights from both Aztec Camera and Roddy’s solo career. The Scottish singer-songwriter opens the gig with the beautiful solo track Small World, winding and twisting his way through the heartfelt melody. Between songs he wanders around the stage in an unpretentious manner delivering lighthearted tales and anecdotes of his years in the band. Roddy delivers a set that, while missing out on some of the biggest hits of his career, including Somewhere In My Heart, Good Morning Britain and Working in a Goldmine, still manages to feel complete. Sandwiched between Mattress of Wire, a song he first recorded as a wee 15 year old and his latest offering Twilight, sits the backbone of Aztec Camera’s High Land, High Rain record. The glorious pop melodies of Oblivious, the ever-giving Walk Out to Winter and fans favourite Down the Dip sound as fresh today as they did 35 years ago. Other set highlights include the effervescent Spanish Horses and a personal favourite Birth of the Truth. Roddy clearly knows his tools. He knows how to make his guitars work, bending and dazzling when needed. The acoustic star finishes his set with an encore including Hymm to Grace and the fitting Rock God. Despite keeping a low profile these days it is clear Roddy Frame has lost none of his musical prowess, a genuine talent who, if anything, has ripened with age.